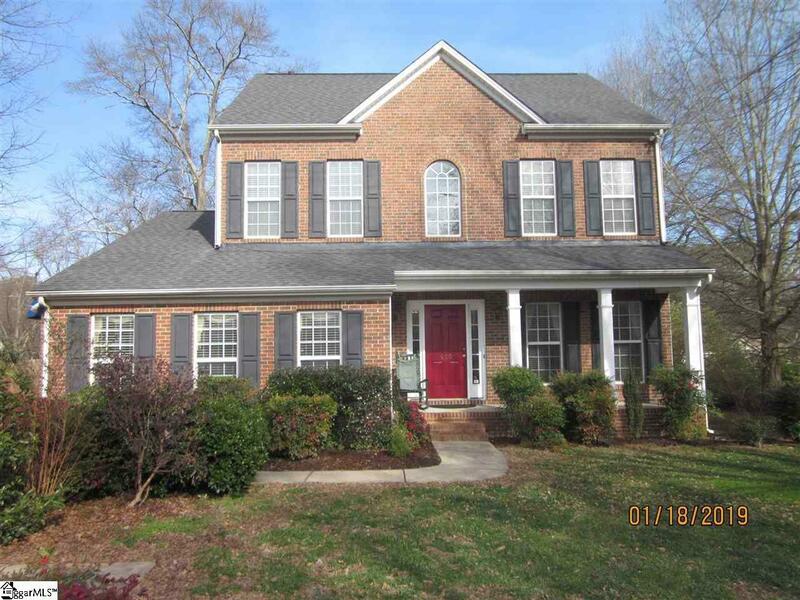 Great house, great neighborhood and located in the quaint Southern town of Fountain Inn! This brick front two story boasts four bedrooms, 2.5 baths, separate dining and living rooms, great room with gas log fireplace and a large bonus room on the first floor. Spacious eat in kitchen with ample cabinets, a pantry and a large island. Brand new Maytag STAINLESS STEEL appliances and beautiful, new GRANITE countertops! This open concept layout is great for entertaining or for multiple activities that can be conducted simultaneously. A former Ryan model home, the intended garage space was converted into office space with its own entrance, allowing this space to serve ideally as a home office. This bonus room would also serve well for home schooling, additional bedroom space, or a mother-in-law suite. Heat and hot water are supplied by natural gas and an outside water supply (including a complete lawn irrigation system) has its own meter so that you do not pay sewer fees for outside water usage. Roof was replaced four years prior and HVAC for main part of the house was replaced in 2017 (bonus area has separate HVAC. Laundry room has adequate space for a freezer. Come see this great house today!